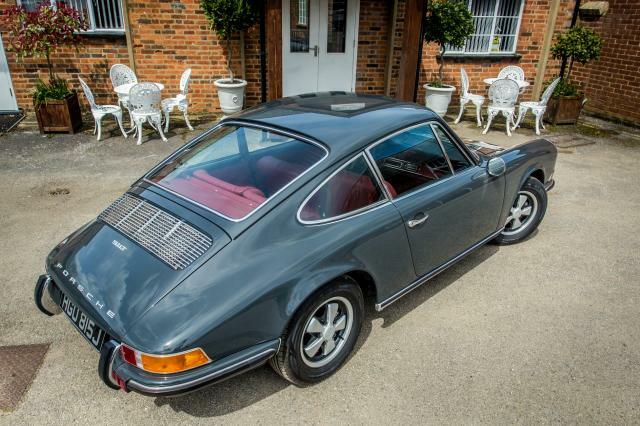 Additional information 1971 Lhd Porsche 911T - supplied by Porsche Cars America. 2.2 litre flat 6 engine 5 speed transmission. Porsche Certificate of Authenticity Originals Owners hand book. 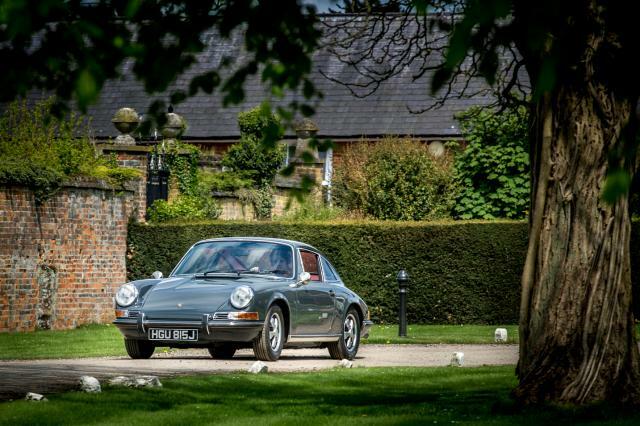 This lovely Porsche 911 was imported from Beverly Hills Car Club in August 2015. Since then, the vehicle has received a complete, bare metal restoration. The shell was completely stripped and media blasted and then the metalwork repaired. The shell was in good shape and only required sills, some inner torsion tube repairs and rear seat/parcel shelf repairs. 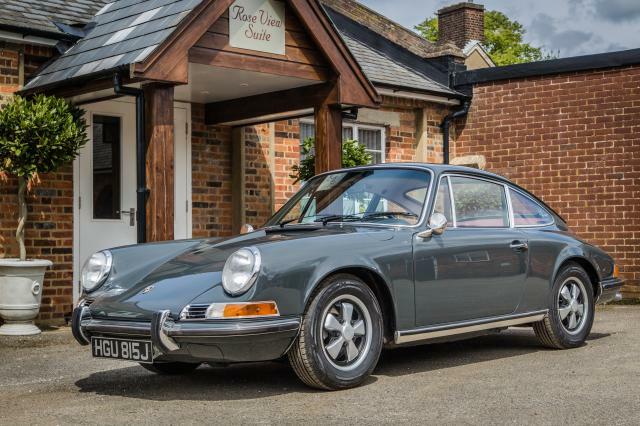 The shell was then painted in the stunning slate grey that you see here. All suspension and brake components have been stripped, cleaned and refurbished. 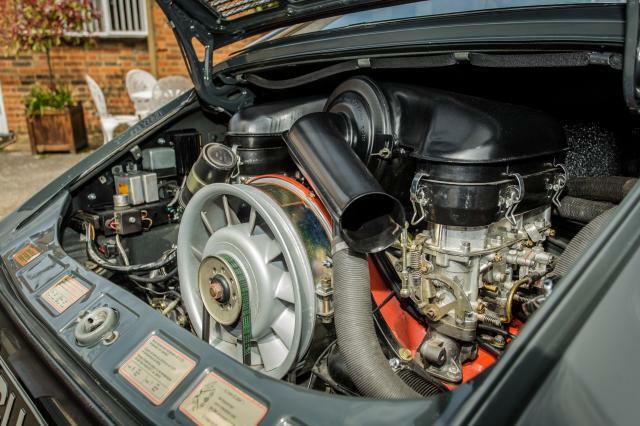 The engine has been subject to a complete rebuild by Porsche motorsport specialists JAZ Porsche and pulls superbly. The engine itself is matching numbers but has received a few upgrades including 'E' camshafts and now puts out approx 200 BHP (Full engine build spec and invoices available upon request). The gearbox is in good shape and does not make any nasty noises so has been cleaned and reinstalled. 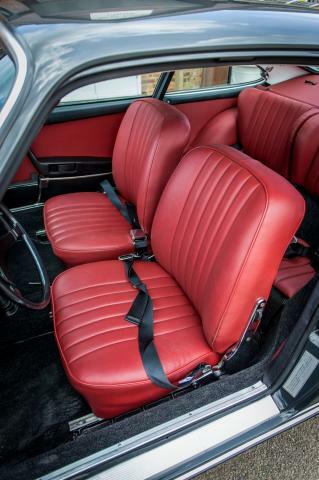 The interior has been subject to a full retrim in stunning red leather and a full headliner. Original Fuch wheels have received a complete refurb in the factory anodised finish. 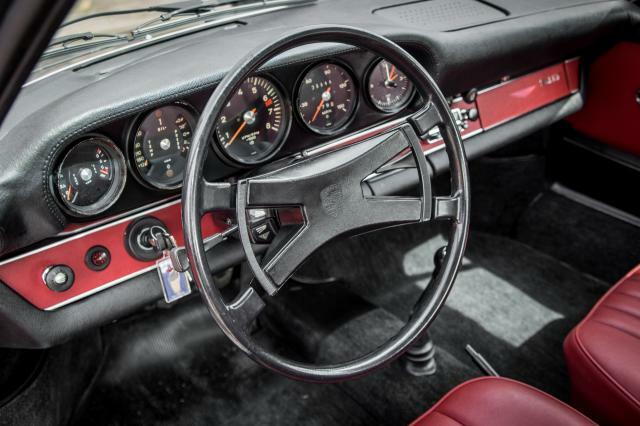 A period correct Blaupunkt radio has been installed but has the added extra of Bluetooth connectivity to allow the connection of a phone to make calls and to listen to music. This vehicle really is stunning and will make you smile as soon as you are sat behind the wheel.